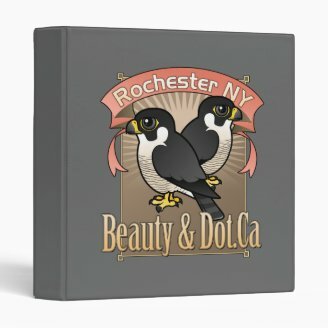 Mariah and Kaver are a pair of Peregrine Falcons that are the stars of the Genesee Valley Audubon Society's Rochester Falconcam. 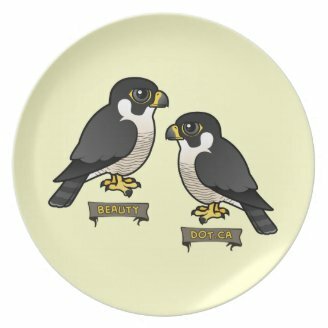 The Falconcam operates in the spring during Mariah & Kaver's courtship and nesting season. 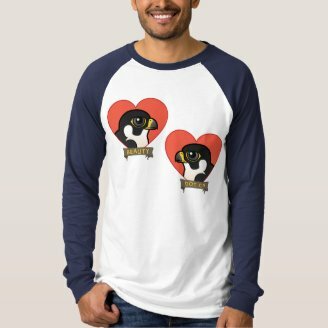 We have created three Birdorable Mariah & Kaver designs which will support the Falconcam. 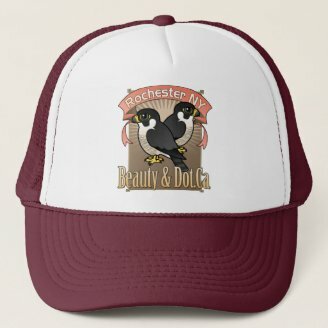 We are proud to announce that 30% of the retail price for all Birdorable Mariah and Kaver product sales will be donated to the Rochester Falconcam. 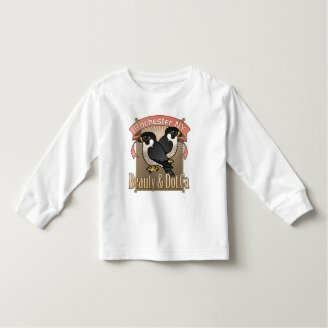 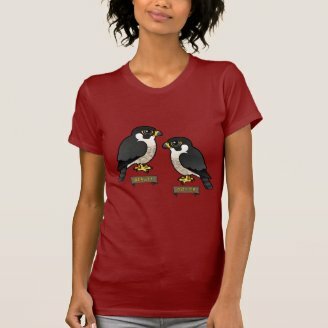 Support the Falconcam in Birdorable style!